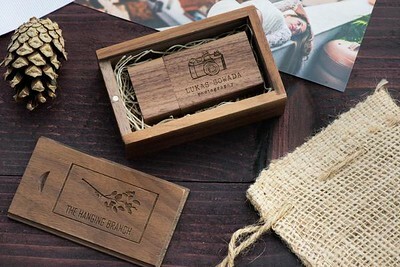 A set of engraved maple wood USB flash drive with an engraved maple wood box. 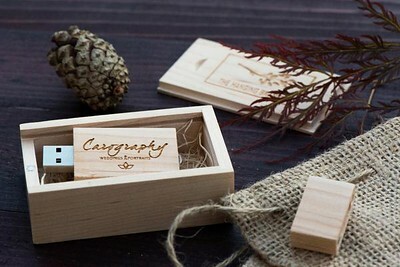 The USB box is padded with your choice of wood wool or green moss, and is secured with a small magnet on the front. 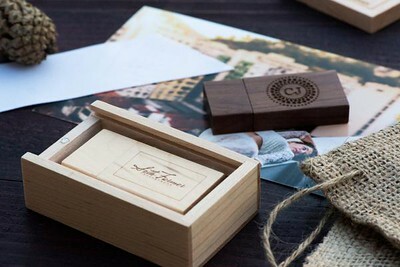 The lid slides open smoothly, and can be engraved with your choice of logos. 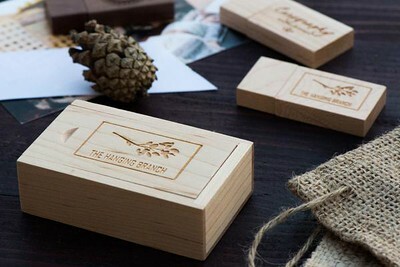 It is accompanied by a matching maple USB that can be engraved on both sides. The cap of the USB is also secured by 2 magnets. 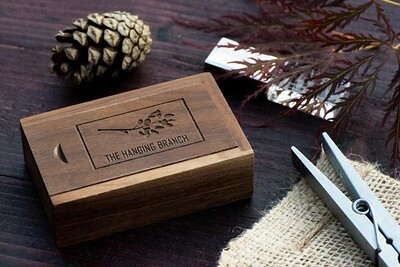 USB Box measure at: 3" x 1.75" x 1". 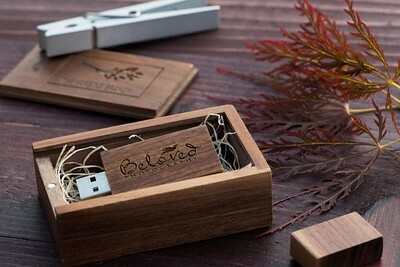 USB drive is measured at: 1.5" x 1" x 0.3"